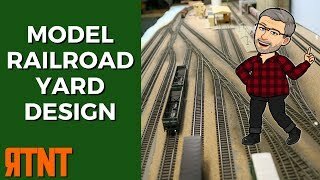 In this video we talk about model railroad yards–design for operations. Yard operations can be one of the most challenging and fun aspects of operations on your #model #railroad #layout. If you design for #operations before building your model railroad #yard it will operate more efficiently and cause less frustration. Thanks to my Patreon friends. If you like what you see give it a “like” 👍, subscribe 🔔, comment 💬 below, and share it on your social media and model railroad forums.